“Narcos” (R) is an American crime drama web television series. 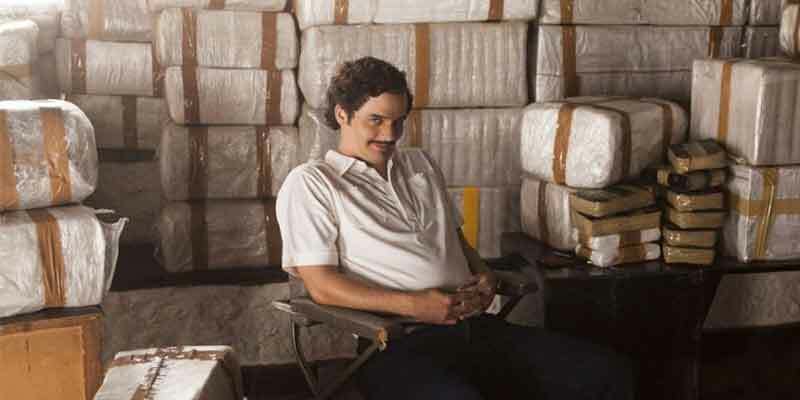 Seasons one and two are based on the story of drug kingpin Pablo Escobar, who became a billionaire through the production and distribution of cocaine. The series depicts how Escobar first became involved in the cocaine trade in Colombia. Season three picks up after the fall of Escobar and continues to follow the DEA as they go up against the rise of the infamous Cali Cartel. This TV show can be found on just about any streaming device on the market. You can stream on a tablet, smart phone, gaming console, desktop, or a streaming device such as a Roku, Apple TV, Chromecast, AirTV, Amazon Fire TV, and more. Here are some of the top devices that can be used to access one of the services that carry Narcos. To learn more click on the icons below or read our streaming device guide. Narcos can be streamed using a VPN. A VPN can unlock content from services such as Netflix. You can also use a VPN to bypass blackout restrictions and geo-blocking. A VPN will increase your online security and protect your online devices. This is very useful in the United States but is even more useful internationally. By using a VPN you can view this TV show while in another country. Not every VPN is created equally so we have chosen a few that we believe to be the best VPNs to pair with streaming services such as: ExpressVPN, NordVPN, and CyberGhost VPN.